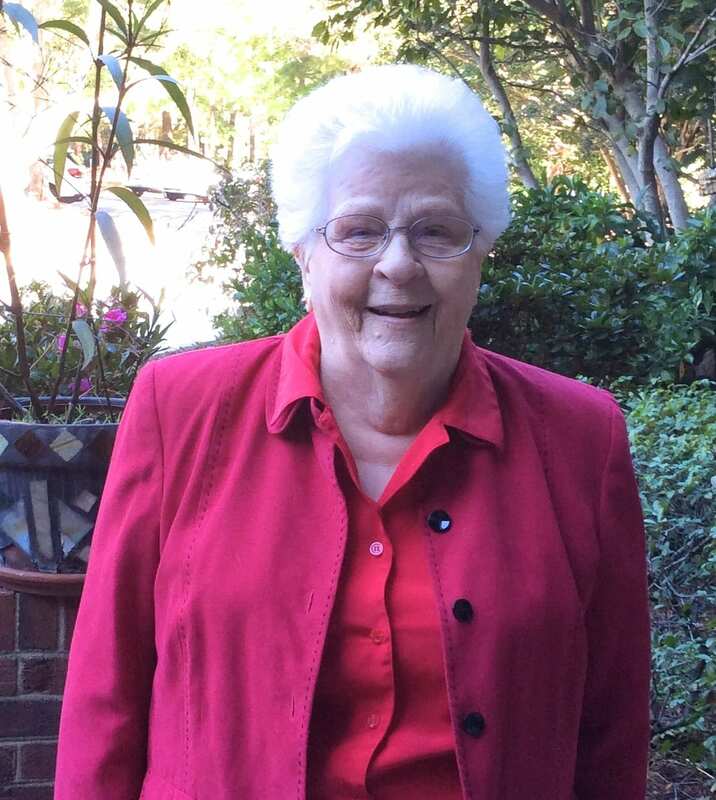 After 15 years at the helm, Springmoor Resident, Winnie Apperson has passed the torch to Mary Alice Hale. The Springmoor library is running like a well-oiled machine with the guidelines Winnie has put in place. Mary Alice agreed to step in as Committee Chairman of the Springmoor Library. Asked why she agreed to take on this position, Mary Alice laughs and says, “in a moment of weakness, they asked and I agreed.” With no library experience, other than the exception of checking out a book and paying a few overdue fines, she really didn’t know much about the Springmoor system. 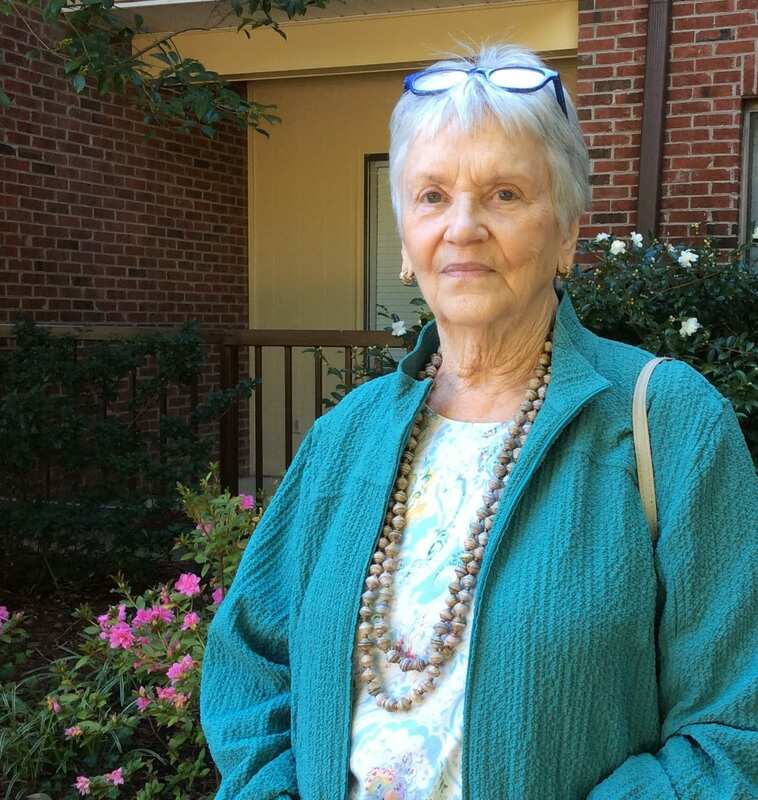 With 6,000 books in the main library, six different reading rooms filled with paperbacks, 40 volunteers, two book clubs, a book cart service, an acquisition budget and a half dozen dedicated committee members, she has found herself in a wonderful position. Armed with a CPA’s background for keeping things cataloged and organized, running a household with four children and a full time career, Mary Alice knows how to get things done. Winnie developed and trained volunteers to help run the Springmoor Library system so that no one’s job is too big. She has volunteers that are well suited for helping with each task that needs to be done. 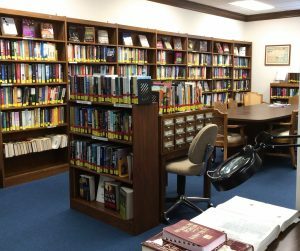 The Springmoor library purchases books through Quail Ridge Books as well as a few online services. 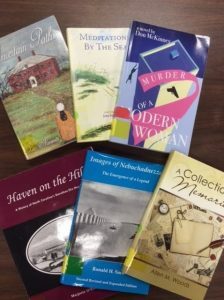 Resident volunteer, Linda Jones does the research to find the best new reads that are offered each month. The library is happy to take donations but only if the book was published after 2000 and not already in our library. We have room for only one copy of each book and prefer to have a wide variety of offerings. 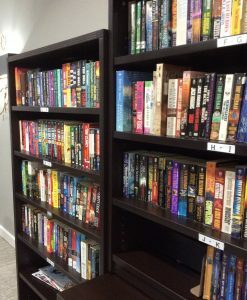 She welcomes a list of books a resident or their family would like to donate and sends a confirmation of those that we are interested in receiving. 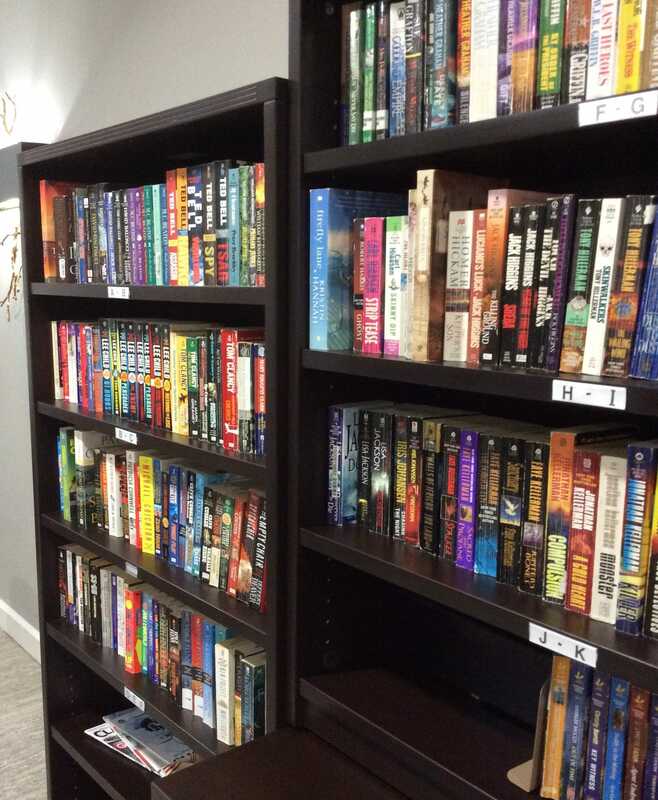 The Wake County library takes our older books and donations, adding them to their annual book sale at the fairgrounds. Once a week, Dale Matzinger and Fred McGehee volunteer to take the book cart to the Stewart Health Center and Supportive Living. The two choose the books that they think would be of interest to their fellow residents. Of course, they take requests and are happy to recommend something new. Gay Hertzman is the volunteer in charge of registering each book. 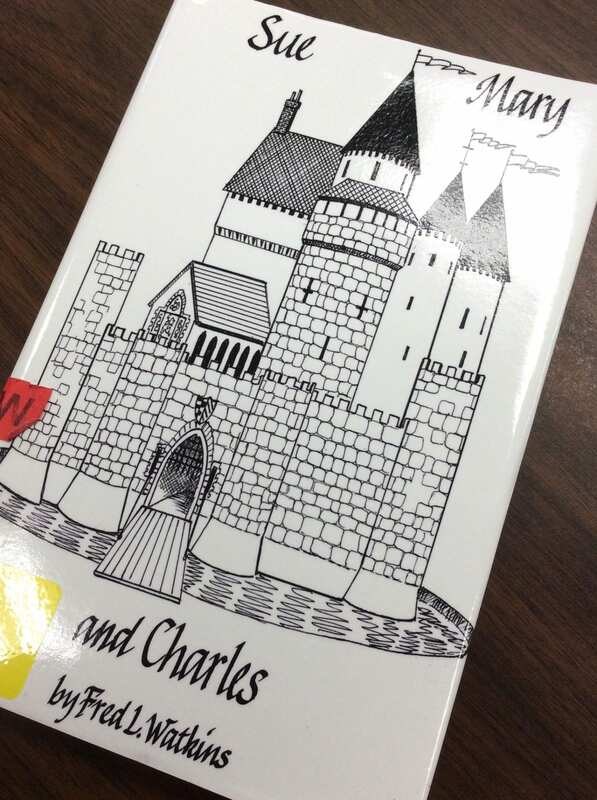 New books purchased, as well as those that have been donated, are cataloged and marked with stickers. Card pockets are added and locations are noted. Gay has worked as a professional librarian so this is a perfect fit for her talents. She often has the help of Beverly Fuller, the Library Committee Secretary. There are two – The Book Worms and The Moor Readers – one on each side of the campus. Ginny Liddle and Dottie Davis organize these two groups of avid readers. The participants choose the books for the reading clubs from a Wake County Book Club kit list. The county supplies a kit of 15 books for each club. The groups read different books, mostly non-fiction best sellers. They meet once a month to discuss their latest book. If you want to join in the discussion, contact our librarian, Mary Alice. Jan Hagarty schedules the forty volunteers that work in the library each month. She sends a monthly calendar and friendly weekly reminders to keep things running smoothly. The library is open every morning, Monday thru Saturday, and every weekday afternoon. Eileen Herbermann steps in to train the volunteers and Audrey Austin writes beautiful correspondence notes and memorials. 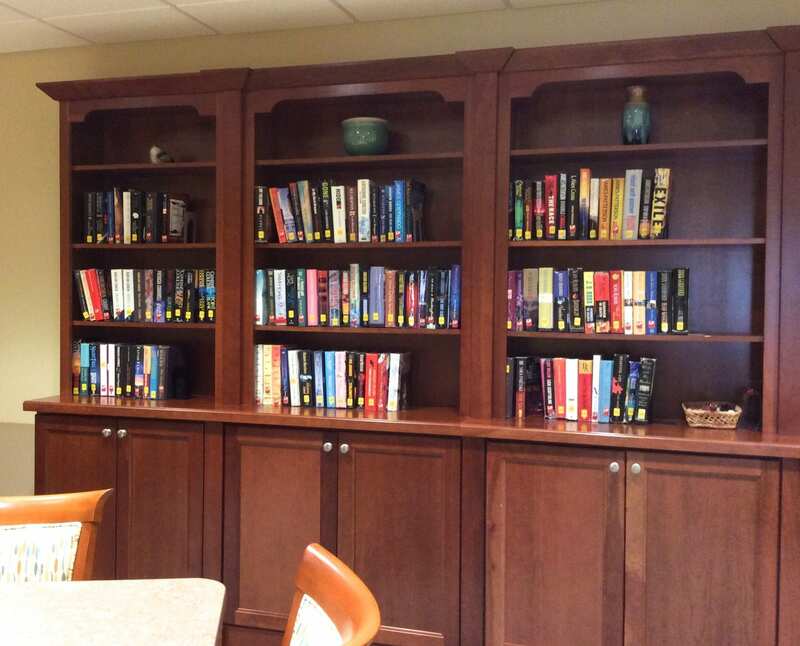 There is not only a full-sized library at Springmoor but there are five smaller versions located across the campus. 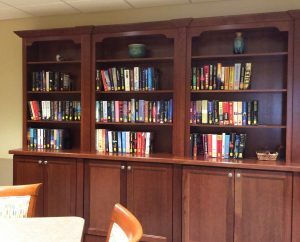 In the South Village Carolina Room you will find large print books. 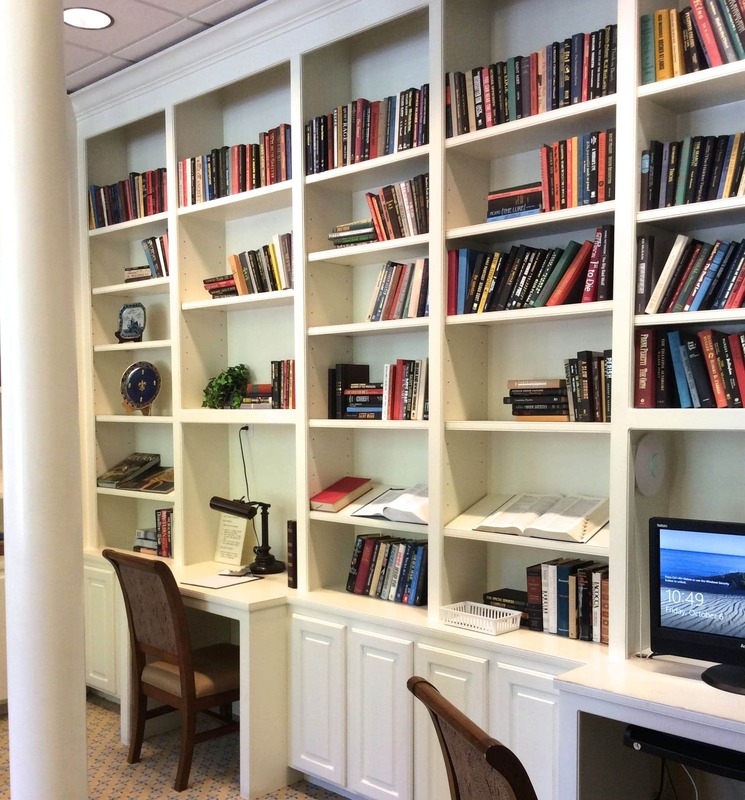 In the East Reading Room you will find an assortment of paperback books. The Stewart Health Center also has a collection. The Gathering Room in South Village has an assortment of architecture and art history books. Beverly Fuller can be found organizing these collections, which are “checked out” on an honor system. Many of our residents have written their own books. If you ask, the librarian can point you in the direction of their shelves. 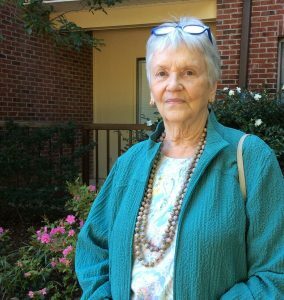 You will find Haven on the Hill, an educational timeline and story of the Dorothea Dix Hospital written by Marjorie O’Rorke. Sue, Mary and Charles by Fred Watkins is a collection of stories Fred told to his children and grandchildren. Along with this collection you will also find memoirs written by our residents in the Life Writing Workshop taught by Dr. Jim Clark, NC State English Professor Emeritus, each month. The torch has been passed. The job is big. The volunteers and committee members add knowledge, time and assistance. With many hands to help, Mary Alice is happy to be there to continue the system that Winnie so carefully planned, organized and executed. 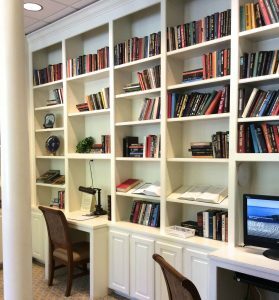 Stop by soon and check out a book, sign-up for a book club or a shift at the desk.